At Park Meadows Cosmetic Surgery, we are committed to offering you the products we love and trust! We are proud to carry a full line of advanced skin care by Allergan®, the company that also brings you BOTOX® Cosmetic, Latisse™, and Juvederm® fillers. SkinMedica® leverages your skin’s natural healing properties to reduce the appearance of wrinkles and improve skin tone and texture. Growth factors in SkinMedica products support the repair of aging and sun-damaged skin by providing the natural substances that your skin uses to maintain firmness and elasticity. Clinical studies conducted over the last 15 years have shown that topically applied growth factor products reduce visible lines and enhance skin tone and texture with 6-12 weeks of twice-daily use. TNS Recovery Complex® which reduces skin discoloration and the appearance of fine lines and wrinkles. TNS Essential Serum®, an all-in-one treatment for overall skin rejuvenation. Lytera® Skin Brightening Complex to reduce the appearance of dark spots and reveal brighter, more luminous skin. Retinol Complex in three varying strengths to enhance your skin’s radiance, tone, texture, and resiliency. Total Defense + Repair, powered by SOL-IR™ Advanced Antioxidant Complex, this comprehensive sun protection blocks UVA/UVB rays and supports your skin’s ability to restore itself. HA5 Rejuvenating Hydrator to immediately smooth the appearance of fine lines and wrinkles while supporting your skin’s ability to replenish hyaluronic acid (HA) for overall skin health. With SkinMedica, you can customize any of the products to create your personal regimen. The GRASS regimen contains the most basic necessities for your skin and each of the letters represents a product category. As a SkinMedica provider, we can help you understand your options and customize your skin care program for your best results. Now you can earn Brilliant Distinctions® points every time you make a SkinMedica purchase on SkinMedica.com or at our office. And, you can redeem those points anytime for instant savings on SkinMedica products and other Allergan company facial aesthetic treatments and products, such as BOTOX® Cosmetic, Latisse™, and Juvederm®! Stop by our office and pick up your SkinMedica products today or visit the online store and have it shipped directly to your home. To start earning and redeeming BD points, first you must have BOTH a SkinMedica® account AND a Brilliant Distinctions® Account. You will then automatically earn BD points each time you purchase SkinMedica® on this site. You will also be able to view your total available BD Points from Your Account page. If you have questions about earning or redeeming BD Points on our site, or if you need help linking your SkinMedica® account with your Brilliant Distinctions® account, please call our Skin Care Concierge team at (720) 457-4471 Monday through Friday, 8am - 6pm CST, except holidays. 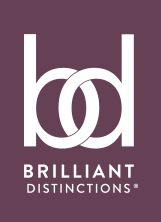 Please have your Brilliant Distinctions® member ID number handy if you have one. At Park Meadows Cosmetic Surgery, we welcome patients throughout the Denver metro area and from across the country. Call our office today for your consultation.